Harry N. Abrams, 9781419721380, 240pp. M. J. Beaufrand is the author of The Rise and Fall of the Gallivanters and The River, which was nominated for an Edgar Award. She lives in Seattle. "A taut, suspenseful page-turner... Call it magical realism, horror division." "A dark and earthy thriller with a touch of romance." "Short in length but long on atmosphere, it’s a gripping mystery with a supernatural overlay that makes its setting all the more haunting." 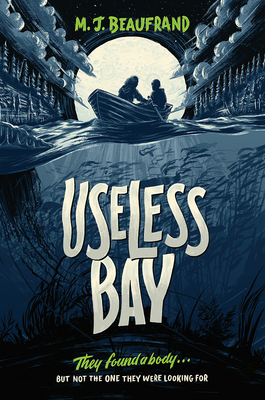 "Useless Bay combines the perfect proportions of mystery and mysticism in this absorbing missing-person story... a perfect read for middle through high schoolers when the wind is howling outside and the rain is pounding against the windows." "Intensity and simple, evocative prose make this a solid choice for reluctant readers who want a dark, atmospheric mystery." "Fans of process crime drama that has a strong sense of place and of characters you want to be friends with should not miss this one." "A novel filled with suspense, intrigue, action, and a touch of magic."